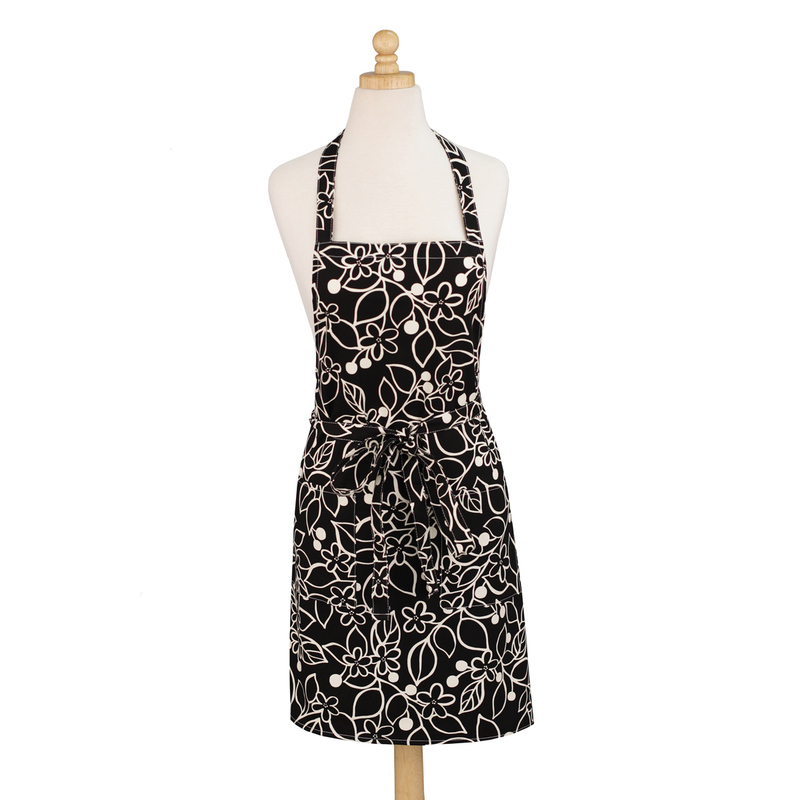 Our Graphic Floral modern apron is made with a beautiful 6.5 oz 100% cotton printed canvas. 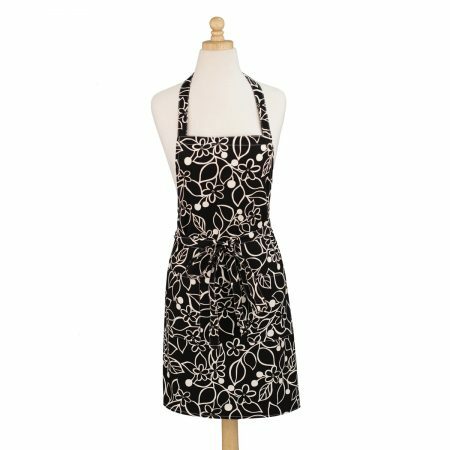 This updated printed bib apron will make a statement. The aesthetic is clean and modern. The choice of pattern and color makes the apron vibrant while the simple functional silhouette makes it easy to wear. Perfect for servers and home chef’s alike. Great for front of house in multiple designs! Two simple patch pockets complete the look. Adjustable ties at neck and waist. Machine wash and tumble dry for easy care. Sewn in the USA.